Note: click on on instances inside the commands to begin a kitchen timer even as cooking. 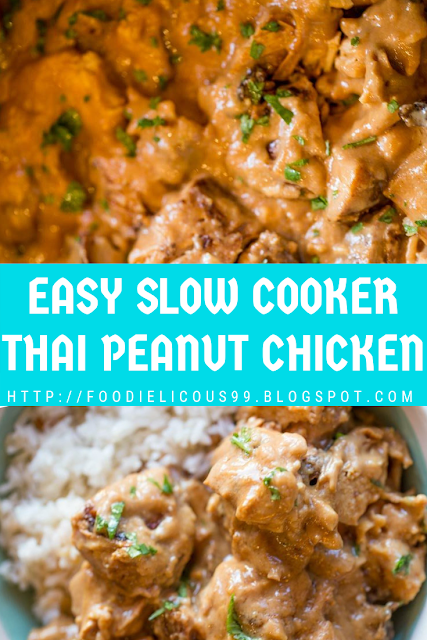 To a 6 qt slow cooker, upload the coconut milk, peanut butter, soy sauce, honey, rice wine vinegar, ginger, garlic, and stir until mixed. Cut the chook breasts into one inch chunks and upload to the sluggish cooker. Cook on low for four-5 hours. Add the lime juice and cornstarch/water combination to the sluggish cooker and stir cautiously. Cook for an extra 20 mins till sauce is thickened. Garnish with desired toppings like chopped peanuts, cilantro or inexperienced onions (or all three! ).